Friends, I suspect that a number of you have driven by the site for the new Brownstone community being built in North Bethesda near Strathmore. Symphony Park at Strathmore bills itself as the first Integrated Arts Community in the Washington area. I’ve started to look at the plans for the community and the preliminary designs for the homes and am quite impressed. Feel free to share your thoughts below and stay tuned for more info on the project. Welcome to the first in this occasional series on the condo living options in Bethesda. As mentioned last week we see this set of posts as being useful to folks thinking about taking their love of Bethesda to the next level by looking to move into the downtown area (the new and old sides!). We hope that you find this series interesting and encourage you to email us your questions or leave a comment below. Please let us know which building you would like us to cover next. Cheers! 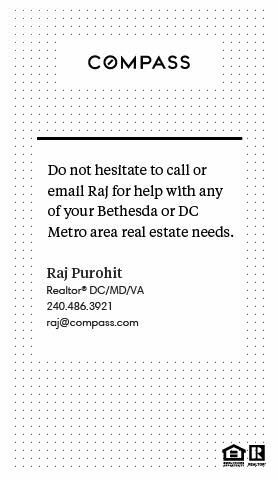 PS As a realtor part of my focus is on condo options in Bethesda and if you are interested in buying/selling/renting a Bethesda condo feel free to give me a call at (240)486-3921 or email me at rajlaw@yahoo.com. The Chase is a superb condominium option for anyone considering downtown Bethesda living who places a premium on location and amenities. The Condo building is literally across the street from Bethesda metro, providing an easy commute for those who work in downtown DC for instance. The Condominiums themselves are terrific renovated residences with features that include: Wood-burning fireplaces on top floors; Granite countertops in kitchen and master bathroom; Gourmet kitchens with stainless steel appliances; Maple kitchen cabinets; Hardwood floors in living room and dining room; Track Lighting ; Balconies on all units; Full size washer and dryer and Individually controlled gas heat and air conditioning. Building amenities include: 2 Lit Tennis Courts Outdoor Swimming Pool Outdoor Jacuzzi Outdoor Grilling Area Beautifully Landscaped Grounds Underground Garage Parking Included with Every Unit Visitor Parking Concierge Service Controlled Access Fully Equipped Fitness Center State of the Art Business Center Steps from Bethesda Metro. As you know I love living, working and writing about Bethesda. In recent days I’ve been asked to start writing an occasional series for this blog that looks at the different condominium buildings that we have in the area and discuss issues ranging from the price to amenities. 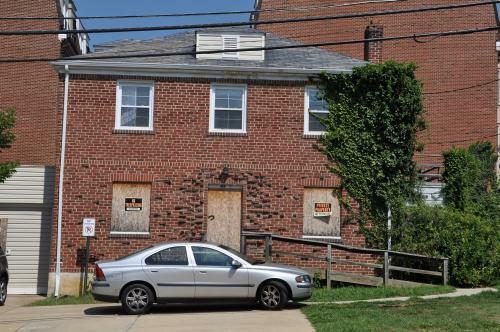 I’m certainly happy to do that as I think it is fun to look at the different living options in our area (and it links nicely with our earlier series on apartment buildings in Bethesda). As regular readers know, I am a realtor with a focus on Bethesda and the surrounding area, so you will be getting a bit of my real estate experience combined with my all round love of Bethesda from the residential and blogger/ promoter standpoint. The first condo building I am going to be featuring is The Chase at 7500 Woodmont — stay tuned! buying and selling re-sales, short sales and foreclosures + info on the loan approval process + the new appraisal process + how to buy and sell at the right price. Drop me an email at rajlaw@yahoo.com if you are interested in attending (or if you have other real estate needs) – everyone is welcome! Bethesda realtor Jenna Taheri has launched a new website called www.MovingWithJenna.com, designed to serve the needs of buyers and sellers around Bethesda and the wider area. The site provides tools such as mortgage calculators and helps sellers find out how much their property is worth in today’s market, keep up-to-date on the latest real estate news, and get marketing tips and advice. Read more here.